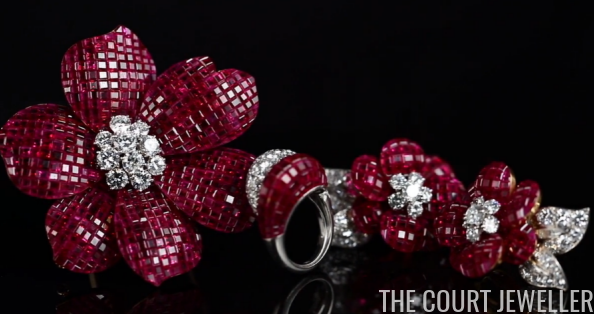 July babies were blessed with a particularly vibrant birthstone: the bright red ruby. 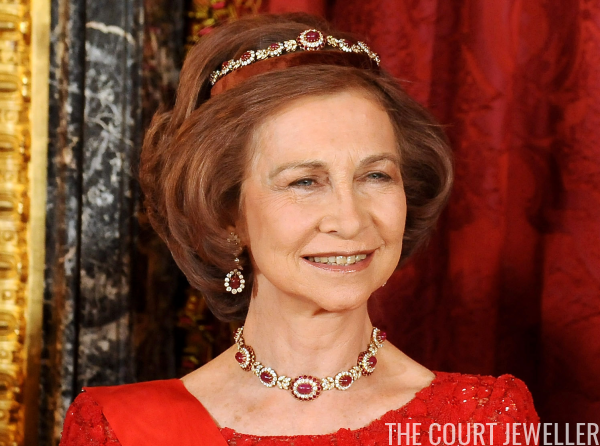 Today, we're looking at a selection of royal ruby pieces created by one of the world's most famous jewelry firms, Van Cleef and Arpels. 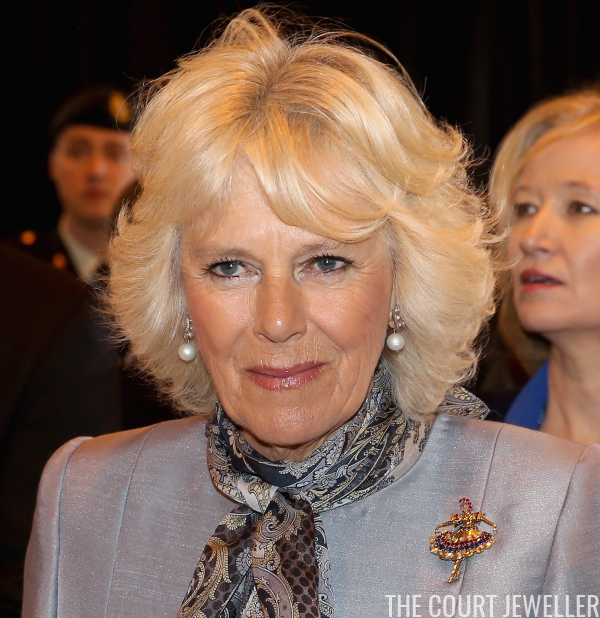 The Duchess of Cornwall has an extensive collection of VCA jewelry, including this lovely ballerina brooch. 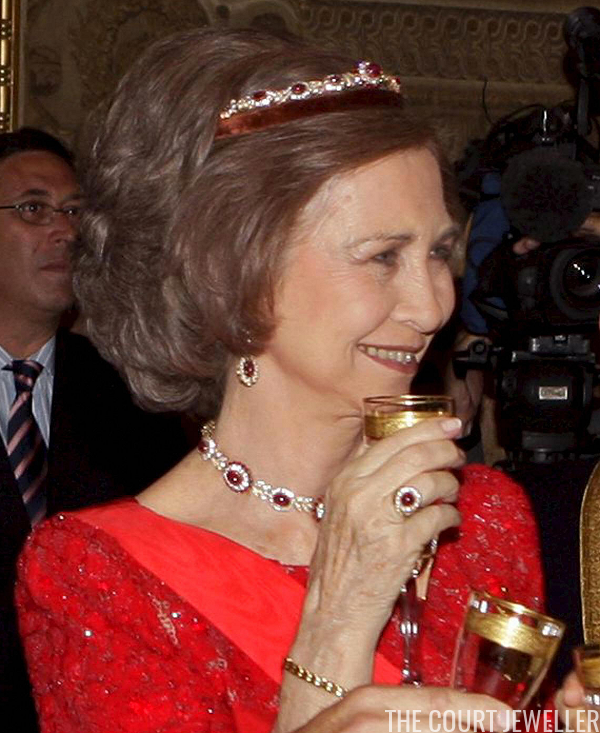 The golden brooch, which dates to the 1940s, is set with diamonds, sapphires, and rubies. It's an heirloom from Camilla's own family. Made by VCA in 1952, this bracelet features diamonds and rubies set in platinum. 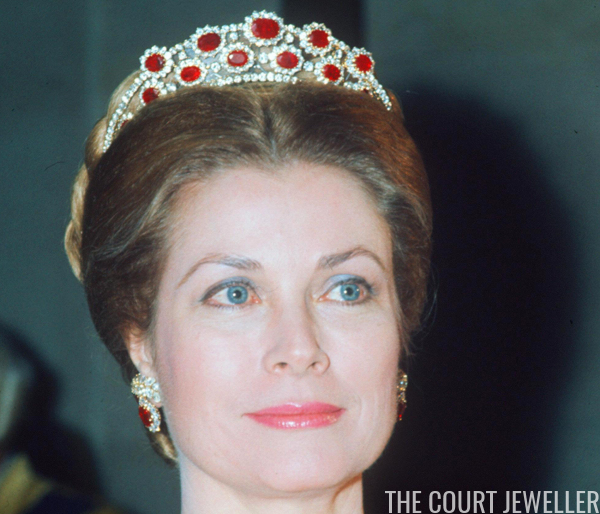 It was an engagement gift to Grand Duchess Josephine Charlotte of Luxembourg from her father, King Leopold III of Belgium. Thanks to some expert jewelry detective work by the bloggers at Luxarazzi, we know that the bracelet was sold at Sotheby's in Geneva in 2009, fetching around $78,000. One of the most famous royal ruby suites of all time belonged to a woman who was almost royal: the Duchess of Windsor. 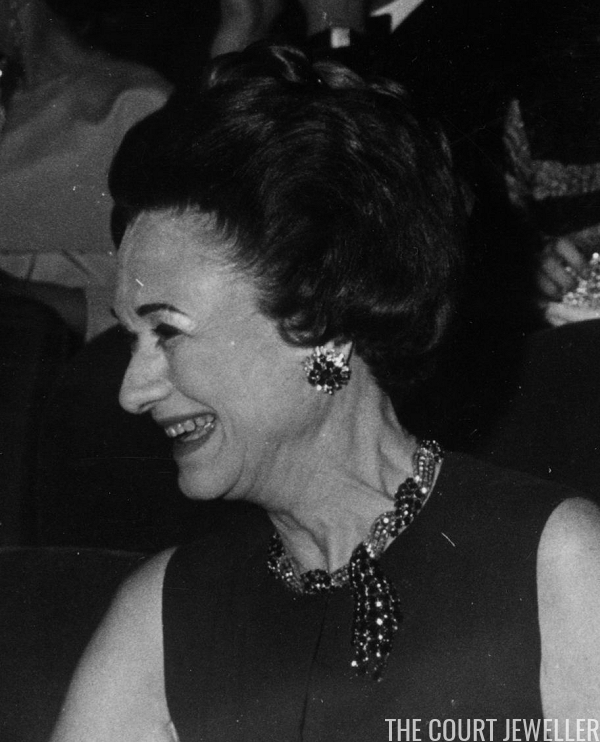 The cascading ruby tassel necklace, worn by Wallis above in Paris in 1966, was a birthday gift from her husband; it's inscribed "My Wallis from her David, 19.VI.1936." Wallis also had other VCA ruby pieces, including a bracelet and a pair of brooches. All were auctioned after her death.